Well here we are, at last. The holidays are finally upon us and a tense election is behind us (a foretoken as I write this). With everything that has happened, hopefully a sigh of relief will permeate through Marietta as we approach the end of an exhausting year. With that said, I would like to focus on a little bit of history that I hope, as readers, you will find interesting. Though we aren’t a political paper by any means, it must be said that the occurrence of certain political events in history is still very relevant to this column, paper, and Marietta as well. The first attack was on April 12, 1861 at Fort Sumter, South Carolina, and lasted for two days. Immediately afterwards, Lincoln asked that each of the United States provide a volunteer army in response to the attack which incited four more Southern states to declare secession from the country. This was the start of the American Civil War and would continue until the 13th of May, 1865. To this day it is considered as one of America’s bloodiest wars with a death count well over 600,000 people. It has been conveyed to me before by Ray McCeeby that Old Town Hall has enough Civil War paraphernalia to erect a separate Civil War museum. That alone should hint to how engrossed Marietta was in the Civil War effort. It is impossible for me to go into any great detail (as always) with this piece, but I would like to convey some very interesting information to you. In the beginning, the Borough of Marietta was somewhat divided on the issue. There were Democrats in town, such as Colonel James Duffy, who were against the war and blamed abolitionists for inciting hostilities by fighting for equal rights for black people. If you remember, Colonel Duffy was a wealthy lumber businessman and entrepreneur. He was an avid supplier to various U.S. forts out west as far as New Mexico and as such he saw any war effort as a threat to his businesses and livelihood. He had lived in what still today is known as Duffy’s Mansion on West Market Street. Many of the newly-formed Republicans during that time were proud to openly stand for the abolition of slavery. One of the more colorful of these Republicans was a certain Dr. Samuel Houston. Dr. Houston would make it a point to take as many escaped slaves into his employment as he could (he was also involved in the lumber business at that time). If a former slave was found out, Houston would send them to safety through the Underground Railroad. Many other escaped slaves under Dr. Houston’s employment would later take up arms against the South as part of the division United States Color Troops or U.S.C.T. Dr. Houston first moved to Marietta just after the War of 1812 to practice medicine. He had been a wellrespected member of the community but was known for holding radical opinions that he often shared with his long-time friend Thaddeus Stevens of Lancaster County. Engaging in various businesses, river, lumber, etc., he would purchase great quantities of various raw materials that he would store in warehouses along the river. Re-selling these goods, he would then ship the materials down the Susquehanna on arks to Port Deposit, Maryland, where they would continue on to Baltimore on schooners. Dr. Houston’s two story brick house can be seen on the northwest corner of Market Square. Unfortunately, many of the town residents didn’t agree with Houston’s methods. Not only was a $25 “bounty” placed for anyone who could scare him out of town but he was also chased by an angry mob with threats of hanging. It has been purported that, alone with his words and temper, he promised such punishment in retaliation against his assailants that the mob eventually fled. Whether this is really true or not, we’ll probably never know but it is an interesting story, to say the least. Many other characters of valor and charisma that lived and participated during this time were the women of Marietta, many of which were part of a coalition known as The Lady’s Patriot Circle. Though they didn’t participate in the war, directly, the women of Marietta were a strong force to be reckoned with. They were the pillars that clothed, fed, and nursed the men to health during the men’s furloughs or breaks between campaigns. They were also very influential when it came to inspiring morale for the war effort which will be discussed a little later. So far I’ve written mostly about the non-military members of Marietta during the Civil War. During the war there was professional military and then the volunteer military that Lincoln had asked for to help in the serious endeavor. When concerning the actual volunteer military that participated during the war, there were five different Pennsylvania Volunteer Infantries or PVI’s: the 45th, 79th, 93rd, 107th, and 135th. 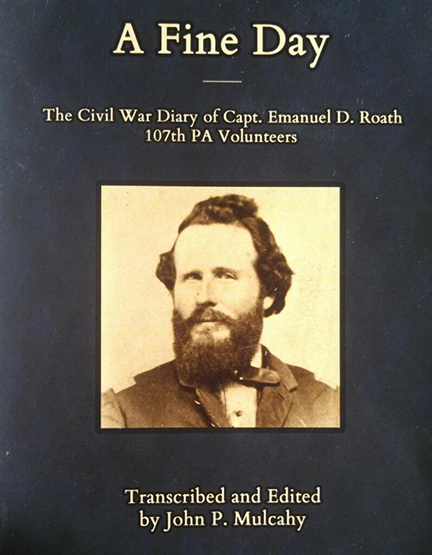 Let us take some time to look more specifically at the 107th Pennsylvania Volunteer Infantry and its captain, Emanuel Dyer Roath, as he was a long time Mariettian of some renown who showed great accomplishments during the Civil War. At the time of his volunteered enlistment in October of 1861, Roath was already forty one years of age. Having lived and worked in Marietta previously as a teacher, farmer, and lawyer and having served in the Pennsylvania Legislature for a single term, Emanuel Roath was already a very well respected member of the community. It was most likely because of this deep respect that he was able to raise a company of three hundred local soldiers which he would preside over as captain. In early 1862, in recognition of his previous achievements and as a show of confidence in his future military exploits, The Lady’s Patriot Circle along with his wife, Harriet, had collected local funds for the purchase of a superbly crafted sword to present Roath before his departure. The sword was presented to Roath in Harrisburg in front of a crowd of soldiers, spectators, Lady Patriots, a committee of purchase, with his friend and colleague, Reverend Grosh, as speaker. For the rest of that year, the 107th PVI saw a decent amount of combat and many of the battles fought were historically horrific such as the Second Battle of Bull Run, South Mountain, and Antietam, which is still known as bloodiest single-day battle in American history with the combined death toll being about twenty three thousand. Antietam was a much needed Union victory at that time and President Lincoln had capitalized on the opportunity to issue the Emancipation Proclamation which would eventually free any and all slaves within the ten Confederate rebel states. Later in 1863, the 107th PVI fought at Chancellorsville and Gettysburg. During the first days of Gettysburg, it was Roath who personally led his regiment due to his commanding officer sustaining injury on the first day of battle. After the war, a monument was erected in Gettysburg honoring the 107th PVI and Roath for their exemplary contribution. Again in 1864, Roath participated in two more campaigns, the Overland Campaign from May 16th to June 15th and then the Petersburg Campaign from June 16th to August 19th. 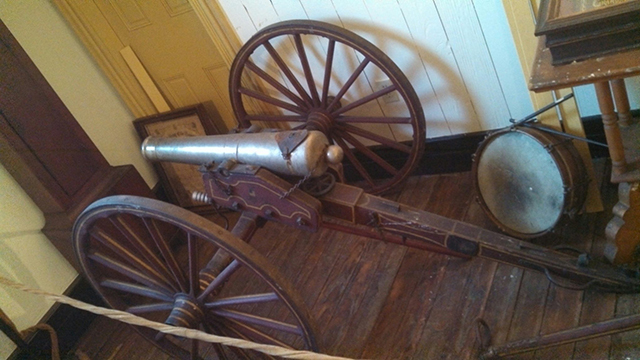 It was on August 19th that most of Roath’s division was captured during a flanking attack of the Confederate forces at the Battle of Weldon Railroad. Roath would spend the remainder of the war as a prisoner being held first at the Libby prison in Virginia, then for a short time (two weeks) at the Salisbury Prison in North Carolina, and then back up to Virginia to the Danville prison until his eventual return and release at the Libby prison in March of 1865. When reading his journal, you can tell that Roath was treated fairly well for a prisoner, most likely because he was enlisted as a volunteer soldier. 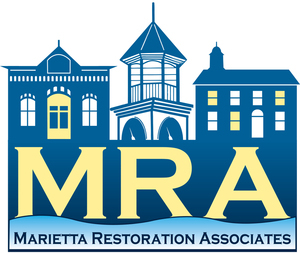 Upon release, Roath returned home to Marietta where he stayed until his death in 1907. Articles that once belonged to Roath can be found both in our own Old Towne Hall museum and the Bureau of the State Museum of Pennsylvania. Even though I only was able to write about a very select few of individuals and minimally summarize the Civil War efforts of Mariettians, I hope that I have been able elucidate a little on the then very pressing historic situation. Entire books could be written on the Marietta inhabitants during the Civil War. As my closing remarks, I leave it to the reader to contemplate on these events and their inference to the events of today. Marietta’s contribution to the American Civil War was by no means trivial. Everyone during that dark and trying time contributed their time, worth, and lives to an unprecedented declaration of liberty and justice for all. There was no room for complacency or apathy. Thank you all for reading! My sources for this article were The Scoop on Marietta: A Small River Town, by Lyn Baker Alarie, A Fine Day, Emanuel Roath’s journal transcribed and edited by John P. Mulcahy, and Wikipedia. With that said, I would like to announce that this will be my last Token’s of History article for the time being. 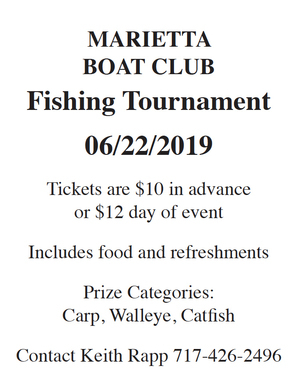 I will be taking a break to pursue other Traveler responsibilities as well as taking the time to further my research in Marietta history so that I can return with more in depth material. Thank you again for all your feedback and encouragement. It was my pleasure to write for you these past two years. Have a wonderful holiday season and please keep reading!